In order to deal with growing demand, Tikit expands its sales function with the appointment of former BigHand employee Sam Bentley. Sam has vast experience in the legal technology market, having previously held roles at Riliance and BigHand. Sam will be joining Tikit as business development manager and will be working with Tikit’s mid-sized law firm clients and prospective clients across London and the South West of the UK. His primary focus will be helping clients derive maximum value from Partner for Windows (P4W), Tikit’s flagship practice and case management product. 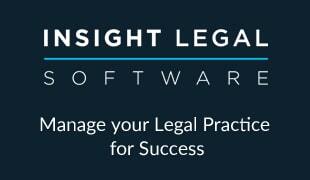 This is part of a wider business strategy that aims to place Tikit as the preferred IT partner for law firms. The strategy will focus on highlighting the benefits of the broad portfolio of Tikit IP and complementary partner solutions, whilst demonstrating a commitment to excellent customer service. Richard Higgs, sales director at Tikit, said that Sam’s appointment is about “retaining strong relationships with Tikit’s mid-market clients as well as developing new business opportunities”.